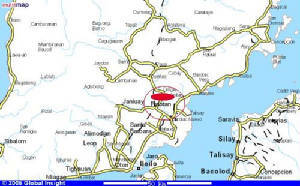 From Iloilo City Drive North Passing Leganes and Zarraga Town. Panay,island (1990 pop. 3,136,425),4,446 sq mi (11,515 sq km),one of the Visayan Islands, 6th largest of the Philippines, NW of Negros. Primarily agricultural with extensive lowlands, it is a major rice and sugarcane producing area. Industries include sugar-processing, lumbering, and fishing. 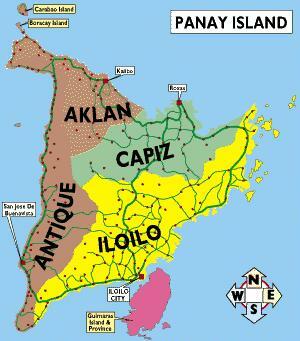 The island comprises the provinces of Aklan,Antique,Capiz, and Iloilo.